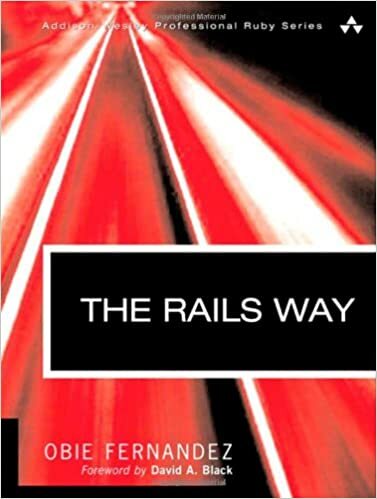 The Rails Way is all about teaching "best practices" in Rails application design. It is run by Michael Koziarski, an independent consultant and member of the Rails core team and with extensive experience with both designing and building web applications. these are free screencasts and forum, if you want a book I recommend you Rails Way by Obie Fernandez. Linux is not really a hard requirement for development on Ruby. I suggest get a good book on Rail and make a demo app. A very simple app which does something. You will everything you should know, from basic commands perspective. The Rails Way is pretty good. He's particularly known for writing The Rails Way published by Addison-Wesley (http://www.amazon.com/Rails-Way-Obie-Fernandez/dp/0321445619) which he did just prior to founding Hashrocket. This book is one of the three in plus's comment; another one his comment mentions is "Ruby for Rails", which will get you up to speed on Ruby as a language. It's a great book; get it too.